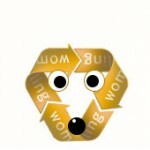 Wombling or Reusing – Made famous by those lovable characters who spent their lives cleaning up Wimbledon Common in the ’70s and by Reusing the rubbish that they found in interesting ways! By taking useful products and giving them away or exchanging them, without changing them, saves time, money, energy, and resources. In broader terms, reuse offers quality products to people and organizations with limited means, while generating jobs and business activity that contribute to the economy. Charcoal ash contains potash, an important nutrient for some plants and it’s a great way to increase the pH of the soil. The Bike Station’s recycling and cycling promotion charity also repair unwanted bikes and put them back on the road.